The Keeneland Library, which is celebrating its 80th anniversary this year, over the next few months will present several exhibits and special events, including the popular Library Lecture Series, to showcase its collection and programs. In 1939, the Library was established when Keeneland Trustee and Director William Arnold Hanger donated a 2,300-volume Turf collection of Robert James Turnbull. Today, the Library is a public research and reference library that is one of the world’s largest repositories of information related to the Thoroughbred and the caretaker of many priceless materials. “As we enter our 80th year, we are delighted to broaden our services, collections and programs to reach researchers and fans around the world,” Library Director Becky Ryder said. A gift in kind to the Keeneland Library by John H. “Trader” Clark before his death, “The Thoroughbred Horse,” dated 1949, is Haseltine’s fifth and final version of the idealized Thoroughbred he perfected over nearly 40 years. “Portrait of the Racehorse Tom Fool,” also representative of Haseltine’s evolved stylized treatment of the breed, is on loan from the private collection of brothers Duane and Kirk Hoefling. On Feb. 26, sculptor Kirk Hoefling of Versailles, Kentucky, will discuss Haseltine and his work at the first of two Library Lecture events “Herbert Haseltine: The Gold Standard.” The program, which begins at 6:30 p.m. ET, is free and open to the public. A reception will follow Hoefling’s presentation. On March 26, the Library will open the next chapter of its exhibit of historic photos titled “From the Vault: Jockeys.” The exhibit, curated by Head Librarian Roda Ferraro, will feature 26 images dating from the late 1800s to the mid-20th century from the Library’s archive of more than 1 million negatives and photographic prints. Varied memorabilia from jockeys Eddie Arcaro, Ted Atkinson and Bill Shoemaker will accompany the photographs. The second Library Lecture Series program is scheduled for May 14, when Jennifer Kelly of Madison, Alabama, will discuss her new book, Sir Barton and the Making of the Triple Crown. Published by the University Press of Kentucky, the book will be available for purchase in May. “In the course of my research for this book on Sir Barton, I used the resources housed at the Keeneland Library extensively,” Kelly said. 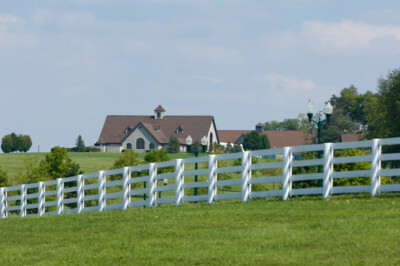 “The Library has everything that a writer working on any aspect of Thoroughbred racing may need: photographs that bring out the visual elements of each story; invaluable print resources, many of which are only available at Keeneland; and librarians that answer every question and endeavor endlessly to help their patrons find what they are looking for each time they visit. Following Kelly’s presentation, the Library will host a reception and a book signing. A limited number of copies of her book will be available for purchase. The event, free and open to the public, begins at 6:30 p.m. The Library is open Mondays through Fridays from 8:30 a.m. to 4:30 p.m. Additional events in 2019 will be announced.